The company has created a distinct concept of products and services either based on Blue Lagoon geothermal seawater's active ingredients - minerals, silica and algae - or the close proximity to the seawater and its raw natural surroundings. Constant developments and strategic growth characterize Blue Lagoon's history. The company is a market leader in the development of health related tourism, both in the area of spa and wellness and in developing medical treatments for psoriasis. It also develops and markets a skin care line based on the geothermal seawater's active ingredients. Blue Lagoon skin care products are based on a unique blend of Blue Lagoon geothermal seawater active ingredients. They are designed to purify, protect and revitalize the skin, leaving it healthy and glowing. A complete range of face and body products is available. 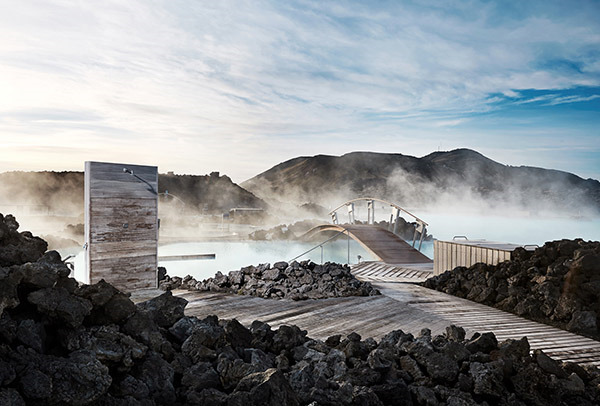 People with the skin disease psoriasis were among the first ones to experience the medicinal benefits of bathing in Blue Lagoon geothermal seawater, discovering its healing power. Blue Lagoon psoriasis treatment is based on bathing in Blue Lagoon geothermal seawater while its active ingredients: minerals, silica and algae exert their positive effects on the skin. The treatment is unique in the world, natural and without side effects. It is scientifically verified as an effective and important addition to other skin treatment options. A new Clinic for people with psoriasis opened in June 2005. Blue Lagoon offers accommodation at the Blue Lagoon - Clinic for non-treatment guests. Blue Lagoon - Clinic is located in a five minute walking distance from the Blue Lagoon. The rooms at the Clinic are well designed and spacious with a private bathroom and a small porch. 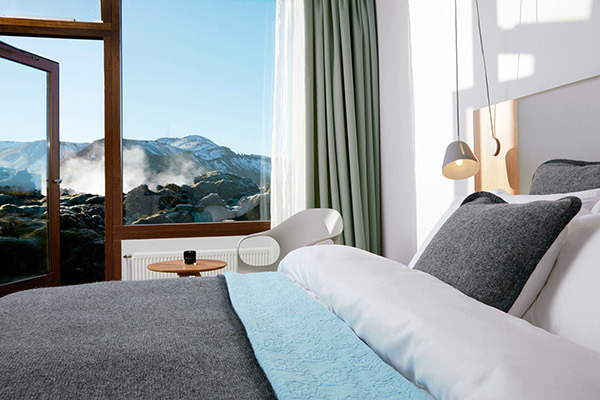 Television and Internet access is available in each room. A dining room, living area, and a fitness room is also on the site.